The sight of thousands of ‘80s bomber jacket wearing, cider swilling, sun-glasses sporting music fans descending on Victoria Park, whatever the weather come June, is now a much loved annual event. This year the summer festival staple that is Field Day celebrates its tenth edition with a characteristically forward-thinking mix of up and coming and established artists across a host of genres. It’s a festival that’s very close to our hearts too and one that’s generated a fair few (blurry) memories. So, to celebrate, we caught up with festival founder and Eat Your Own Ears promoter Tom Baker about getting Field Day up and running, the secrets behind its success and his personal high points from past festivals. WeGotTickets: Field Day is now well established as a Summer festival staple, but how did the first ever Field Day come about and how much work went into getting it off the ground? Tom Baker: Me and my partner Natalie put together a free event in 2006 outside the Griffin pub in Old Street for 1,000 people a day over a summer weekend called Return Of The Rural. It was a village fete with live acoustic acts like James Yorkston and Beth Orton alongside acts like Clinic and Four Tet. Marcus Weedon, who ran the Griffin, was very much involved in making the event happen, so after the success of this we all thought we should do something bigger and on a grander scale. A year later Marcus confirmed the use of Victoria Park and I drew up a list of people I thought should be involved – Adventures in the Beetroot Field, Bugged Out, Bloggers Delight and Homefires – so we had a strong network to promote the event through. I then started drawing up all the bands I wanted to play and started talking to agents. Field Day was announced and we sold out at 10,000 tickets, which was incredible. I guess we were one of the first one-day city centre multi-stage multi-genre events; it’s hard to imagine now what it was like as there are just so so many one/two day city centre music events and festivals. WeGotTickets: What are your memories of the first ever one back in 2007? TB: Sunshine… great bands (Foals, Caribou, Bat For Lashes, Justice, Four Tet…) and also a huge learning curve… so much was learned and built upon after that first year. WeGotTickets: If you had to pick one high and one low point from the last decade of Field Days, what would they be? TB: A high point would have to be seeing Ride getting back together, I was a huge fan since hearing their album Nowhere at the age of 18, the first ever drum beat I learned was from “Dreams Burn Down”! So it was very special for me to be part of them coming back. They played a fantastic set at Field Day (and it was really great to see them in Glasgow, Manchester and London at the Round House) and I really hope they come back with a new album, that would be immense. A low point would have to be after 2007, I don’t want to dwell on that, but we learned a lot and didn’t rest on our laurels and are (still) always learning more and more after each event. WeGotTickets: What is the key to hosting a successful festival? What makes Field Day so successful? TB: I think listening closely to the people who come and taking on board their feedback and then working closely with the production company to make it better each year. WeGotTickets: Do you have any tips for promoters looking to step into the world of Festivals? TB: Don’t do it… there are too many as it is! Think of something else to do…start an organic farm instead. 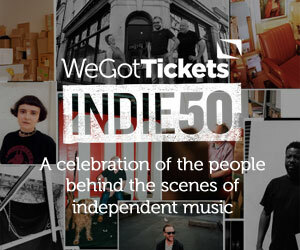 WeGotTickets: What do you look for in a ticketing partner when it comes to a festival and how does this differ from one-off gigs/shows? TB: One that will respond quickly and efficiently to the ticket buyers, has good customer service and also understands what Field Day is and therefore helps us reach the right people with clever and considered marketing. WeGotTickets: Who are you most excited to see performing this year? TB: Founded in 1970 Orchestra Baobab are one of Africa’s great iconic bands, creators of one of the world’s most sublime and truly distinctive pop sounds – they’re sure to be one of the highlights of Field Day 2016! Skepta will totally smash it… I’m really excited about new talent Declan McKenna and of course PJ Harvey and James Blake both with new albums. WeGotTickets: What does the future hold for Field Day? Do you have any aims or plans for future editions? TB: We are looking at doing Field Day on the moon… there are no other festivals there yet so we are working closely with Richard Branson to develop the first ever festival on the moon, not sure when but in the next 10 years we will be there. Field Day 2016 is on sale here, and you can listen to our playlist of the best tracks from this year’s line-up below.